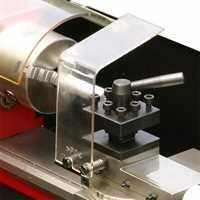 The C3 Toolpost Guard will help protect you from hot metal chips when operating your lathe. When turning close to the chuck or when changing tools, it can simply be rotated out of the way. 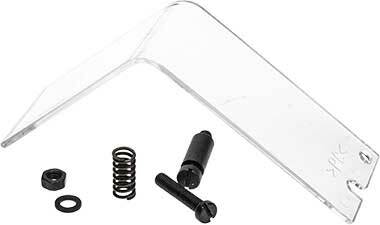 All the fixings required to fit it to your machine are supplied. All you have to do is drill and tap two holes in the front of the compound slide as shown in the diagram below. Suitable for: C2, C3, Super C2 and Super C3 mini-lathes.